Hello all- I'd like to thank you all for so many wonderful birthday wishes! it was so nice to come home after a great day of shopping to see such sweet notes!! You are all wonderful and I'm so lucky to have made such great blog friends, so thank you again. I cried I was so happy- I've wanted this for a long time and never thought I would have one of my own. I LOVE it!! Now comes the hard part, learning how to use the friggin thing. There are about 100 million buttons and each one does something different, its going to take some getting used to. I also have like 4 different lenses on my wish list now, not sure what they all do but I read that they were cool. I just see the $$$ adding up haha. So does anyone have any great words of advice, blog sites, Q&A's I should be reading online today?? I would LOVE to hear them. Oh what a great gift!!!! I am a day late but HAPPY BIRTHDAY!!!!!!!! It sounds like it was wonderful! I am still trying to learn how to use my camera but I have a long way to go, I definitely need a tutorial! Sounds like it was a great day! And what a great gift!! I am still learning how to use my camera, I am not big on reading manuals, so I have learned the hard way, trial and error. Learn from me...my way is not wise or productive!! and then click on the Q&A link!! This should really help you! Happy belated birthday!!! Have fun taking pix w your lovely camera! What a great gift, I'm super jealous! A fancy new camera is definitely on my Christmas list! I will definitely be checking out the tutorials above though, so thanks ladies! Happy Belated Birthday! I actually received a Canon Rebel Xsi for my birthday last week. Like you, I am super excited, but still have to learn how to use it properly. I am super impressed by the clarity and crispness of the photos just by using the point and shoot method. Darby's photography was what inspired me to go with the Canon vs. the Nikon. Yay! Happy Belated Birthday, glad you were spoiled by your lovely! 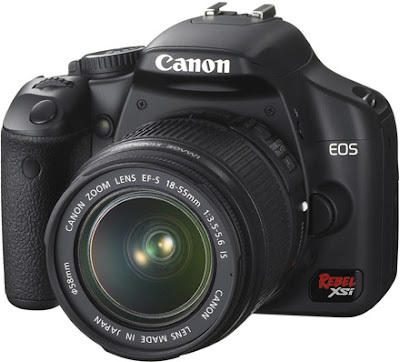 I have this camera too and love it, I definitely agree with the comments above the Fly Through Our Window has some great info and links to easy tutorials etc. Have fun playing with your new toy! first thing i would suggest you do is read the manual. yes, it's big and boring but really, read it a few times to get a grasp of certain ideas and words. 1. the pioneer woman has a fantastic photography section and explains in plain english what everything means (aperture, shutter etc.) does. i'd start at the beginning of her tutorials as they progressively get more in-depth. 2. any and everyone can set the camera to automatic and take pics. if you got an slr i'm assuming it's because you want to have more creative control over your pics. with that in mind, after you read what shutter speed and aperture do i'd set my camera to 'M' for manual and don't change it for at least a few days. play around and try to get comfortable. that is the best way to learn how to shoot manual. shoot during the day, at night, indoor, outdoor etc. 3. if you have it in your budget to get a bunch of lenses great! if not, i'd really say to learn with your kit lens. you'll get a sense if you enjoy wide angles or closeups and then you can buy your next lens accordingly. you can also always rent before making a commitment. 4. bryan peterson writes EXCELLENT photography books that i highly recommend. very easy to understand with tons of photos and examples. All of this is awesome, thank you everyone for the advice!!! She has a section called photography tips. I've learned a lot about using my DSLR from her. She takes amazing photographs! For advice on lenses & other equipment go to: www.kenrockwell.com. He reviews everything and gives pretty good tips too! Have fun with your new camera! Happy Birthday! What a thoughtful gift. Have fun learning how to use your new camera! I am pea green!! what a great gift!! i STILL don't know how to use my camera. it's on the to do list. I'm so happy for you!!! Yay!!! Killer! Soooo excited for you! I'm not one who can really sit and read about photography for hours on end. I'll read a tip or two, then go out and try to apply/practice it. I subscribe to an online digital photography blog called DPS: http://digital-photography-school.com/ - He offers helpful tips, and there's a wealth of info if you want to search terms like, "beach photography" etc. First things' first - get to know your camera and feel comfortable with it - then try the "heavy lifting" of learning techniques. Keep in mind, too, (if by chance you, like Paloma, chose this model based on Darby's pics) that she definitely appears to have "the touch" with photography, and gets a lot of useful info from Marla - priceless education, I would imagine. Just sayin' - don't hold yourself to those standards just yet! Happy Birthday .Good luck with the manuel. Still working on interiors shots with mine. Good Luck enjoy! So jealous! Here's my plea for the same thing for my birthday! The bf didn't get it, but he's still wonderful and there's still Christmas! I love Darby's post as well for camera info., but I also found this one completely different and interesting. Check it out and happy picture taking!